This interview with the author Leilah Nadir took place during her recent visit to London to promote her book ‘The Orange Trees of Baghdad: In Search of My Lost Family’ which has just been published in the UK. Nahla: Since the first publication of ‘The Orange Trees of Baghdad’ in 2007, Syria has been affected by tragedy and it too is a part of your ancestral roots. What do you think about it? Nadir: Syria was my place in my head up until recently, it was the country that I could always go back to, as my grandfather was Syrian and I’ve been to the town where he was from. I love Syria and visited a couple of times. At one point, I thought there is no oil in Syria and nobody is going to invade it. But now that is not the case and so there is a big loss there, I feel a great sadness and grief about that. Even Lebanon has changed drastically because of the Syrian refugees held there. There is a real trauma going on and so it is pretty hard to just go and gallivant around and enjoy it. I feel I have to have a better reason to go that is beyond just a visit. Maybe I can go on a project or volunteer work that would make a difference. Nahla: How do you feel about the West not intervening in Syria, since you had very strong views about it in terms of Iraq? Nadir: I don’t’ think we went into Iraq for any kind of humanitarian effort, it wasn’t to get rid of a dictator and it wasn’t to create a better society for Iraqis. So I am not surprised that they don’t want to go into Syria. It is probably to their benefit that there is infighting and the Middle East is once again struck by war and chaos. So I don’t think there is any real comparison. Iraq was invaded and hopefully soon we can have answers as to why and what their true motivation was. But it was definitely not because they cared about the Iraqi people who were oppressed under Saddam for thirty years. It wasn’t a change of heart in terms of wanting to bring democracy to the region. It is my personal belief. Nahla: The book starts on a plane journey in March 2003 with your father to visit your paternal aunties in London. How odd that you say it was the first time he ever talked about the subject of Iraq. Were you doing all the asking or did he volunteer? Nadir: It is kind of bizarre. I think when he left Iraq as a 16 year-old young man it was all about going forwards, coming to the West and completing his education. Then he ended up meeting my English mother and finding a job, marrying and having a family. All those things just propelled him away from his country of origin and the family house. Then, because of the wars and the sanctions, it was difficult if not impossible to communicate with them and he couldn’t see his parents anymore. 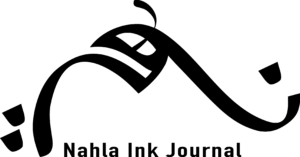 Nahla: How did you begin writing ‘The Orange Trees of Baghdad’? Nadir: I started scribbling down everything and recording conversations from the start of the war especially with my aunties who were in London. I didn’t know it would become a book at first because I was just writing commentaries in the local Canadian press; and, with one particular article published in the Globe and Mail on the day the war started, I felt it was too late. Then I had the sense of quickly getting your treasures out of a burning building and the feeling that I have to get out as much as I can before it all goes up in flames. At the time, Saddam was still alive and the family freaked out about it and is the reason I changed all the names in the book except for myself and Farah Nosh. Initially, I also didn’t feel Iraqi enough or that I had the right to speak for Iraqis because I didn’t know the language and I hadn’t lived there and I’ve never been to visit. Also, my family had not been persecuted by Saddam – like many others had – nor did anyone drop a bomb on the family house. It was my agent who encouraged me to take it further and assured me I had the right to tell the story. Nahla: Why do you think you felt this urge to dig deep into your father’s roots when he never actively passed down the Arab culture? Nadir: Someone has just written an academic article about the book and the idea of post-traumatic stress that apparently affects the children of holocaust survivors; and, so by skipping a generation. She describes it as a common thing that the next of kin of a trauma can suffer whereas the people who live it just have to get on, cope and process it. It was fascinating because I didn’t understand why I was having this reaction that was so emotional. It wasn’t an intellectual one, but a visceral thing, bringing up strong feelings regarding the political situation and how I felt about the US, the Americans and my family. Is it because of my family? My blood? I still don’t know. Nahla: With the new update, you reunite with Karim’s character and his family. He was your main contact in Baghdad during the war period and its aftermath. How was it to finally see each other? Nadir: The reunion was amazing. We felt like we know each other as we talked on the phone throughout all those years. He knows me to a lesser extent because I was mostly talking about his life; but, we had a rapport and a relationship, so it was really exciting to see him. Nahla: Were there lots of tears? Nadir: No, no tears, but I was more incredulous because throughout what passed and happened, Toronto was the last place I thought they would end up coming to and setting up a new life. They had considered many other places, like Australia, Sweden and the US or they could have stayed stuck in Iraq. At least now our families will get to interact; and, in a way, this is weirdly positive even if the whole experience wasn’t itself positive. We have gained something at least and there is this sense of Iraqis continuing outside of Iraq. Nahla: Do you see any psychological damage having been done because they lived through so much? Nadir: I think that you numb out and there is no room for your emotions as an immigrant making a new life. Karim had to bury five relatives at least and deal with the practicalities in a difficult situation. There is also a great anger there. He first went to Syria and then managed to get out. Imagine if they had stayed in Syria? Then they would have had to face a whole new war. I think there is a sense of relief that they are alive and setting up anew; and, that must propel them to move forwards beyond the feelings of anger and regret. Nahla: How did your father respond to the book? Nadir: He liked it and wanted to help. As a businessman, he wasn’t super rightwing but right of centre in his political views, whereas my sisters and I were very lefty. Although he felt the West had done him well and that he’d been successful and didn’t have a problem with capitalism, when he saw the propaganda build up to the war, he saw the lies that were being told. 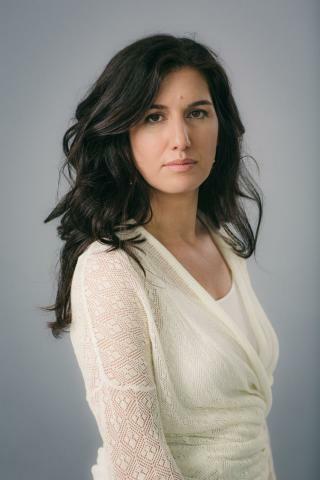 Nahla: Are you still in touch with Farah Nosh, the award-winning Iraqi-Canadian photo journalist and best friend who went into Iraq to photograph the war and its immediate aftermath? Nadir: Farah is now back in Vancouver with her husband and two children that has slowed her down a bit in terms of work. We still do have a dream of going to Iraq together and especially Baghdad. Maybe if something changes this might happen and I would love to do another project with her. Nahla: With your experience of going back to your roots and meeting with your relatives, do you feel more Iraqi? Nadir: Yes, definitely I feel like a legitimate Iraqi now and it kind of puts a label on a feeling that I have had probably my whole life that I am not just Canadian or just British. I am different and maybe the way I interpret things about myself are because of my Arab roots that are a part of me. I have also read plenty more books about Iraq and I know much more about the Arab music and culture, things that I didn’t really grow up with. Yes, my father used to cook Arab food and perhaps that was a silent connection that was going on all the time that I had internalized. Nahla: You now have two children of your own, a six-year-old boy and a three-year-old daughter. What will you tell them about Iraq? They already know their grandfather is from Baghdad and they can find it on a map. Part of the motivation when I wrote the book was to create some kind of record for the family; because, I had that sense when the war started in 2003 that things were not going to get better and that probably we would never be able to go back to that family home. In fact, since 2010, it has been sold and there is no longer even that connection. Nahla: You have mentioned that you would like to improve your Arabic. How is that going? Nadir: To speak fluent Arabic is a lifelong dream but I haven’t improved much because my son was born one month after the book came out in Canada and my daughter was born three years later. I did take private Arabic classes with a professor to get that process going but unfortunately it just wasn’t possible to keep it up. Nahla: What are you working on now? Nadir: I am working on a novel set in Baghdad and London in the 1920s during the British Occupation. It is a historical novel that has some real characters, like Gertrude Bell the archeologist, as well as fictional characters.